Blue Bay Beach Club stands apart from others for uncompromising luxury and capaciousness. The guestrooms in this marvellous hotel comprise of a terrace offering fantastic views of the sea, enabling you to witness an amazing sunset every evening. 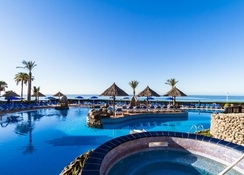 It is one of the best places in Gran Canaria to relax and spend a family or a couple holiday immaculately. 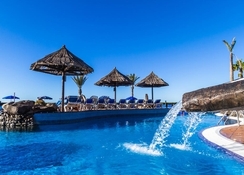 What makes this hotel popular among tourists is its fantastic outdoor swimming pool, in-house restaurants & bars, massive apartments and of course an incredible setting. Other than this, there are tons of facilities to keep you engaged that include fully-fledged fitness centre, diving, biking, hiking, sauna, paddle surfing and much more. 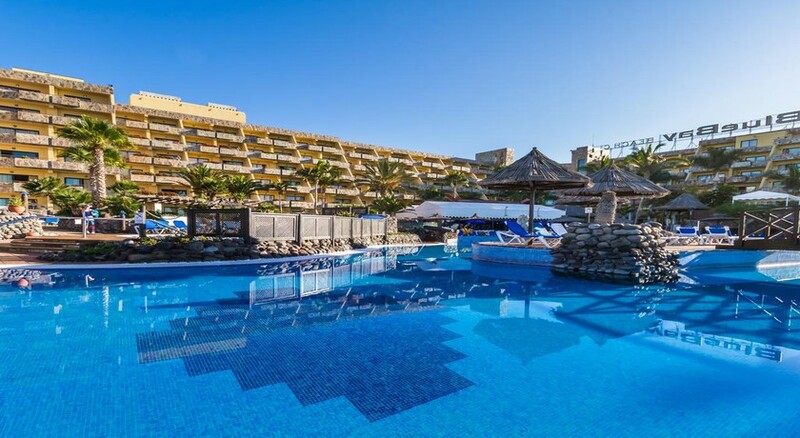 Bluebay Beach Club is strategically situated right opposite to the marvellous beach in Las Palmas, Spain. Those who want to practice golf can tee off to the Maspalomas Golf Course, which is 14.3km. The Gran Cananria Airport is only 30-minute drive from the hotel, making it convenient for the guests to board their flights on time. The hotel is surrounded by numerous bars, restaurants and plenty of shopping centres. The rooms at the hotel are absolutely splendid! 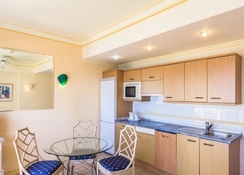 Categorised as One-Bedroom, Two-Bedroom, Superior One-Bedroom and Suite Apartment with Jacuzzi and Terrace, the accommodation will make you fall in love with sunsets, beaches and everything sunny! 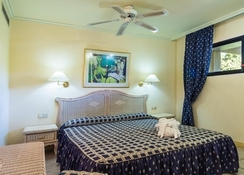 Amenities in the accommodation include one double bed or two single beds, well-equipped kitchen for self-cooking, private bathroom with bathtub and shower, satellite TV, air conditioning, terrace equipped with sun beds and umbrellas and In-room service. You will be truly delighted by the on-site restaurant and bar, as they offer a wide variety of cuisines and dishes as well as a wide gamut of alcoholic and non-alcoholic beverages. In case wish to explore the local cuisine, you can head over to any of the numerous restaurants and bars located near the hotel. In addition, you can take advantage of the in-room service provided by the hotel. Bluebay Beach Club offers plenty of sport and leisure facilities, enabling guests to enjoy their holiday to the fullest. Some of the facilities at the hotel include bicycle rental, animation, billiards, fitness centre, golf, Jacuzzi, outdoor swimming pool, sauna, entertainment shows, gift shop and children’s area. 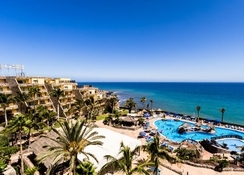 Water sports enthusiasts will not be disappointed either, as one of famous beaches in Gran Canaria – Las Burras Beach is only 4.6km from the hotel, where you can indulge in snorkelling, scuba diving and other such water sports. Guests can also enjoy Petanque and water polo close to the hotel.